Story: Bear, Badger and Cat, musical instruments in hand, are all headed somewhere special. When Little Otter walks through the door of the restaurant, a surprise song awaits, with all the animals playing, "Happy Birthday to You!" Pictures: This is an interactive book! On each page there are musical notes in the illustrations, each with a special note that, when pressed, plays the tune "Happy Birthday" on the featured instrument, three in all. 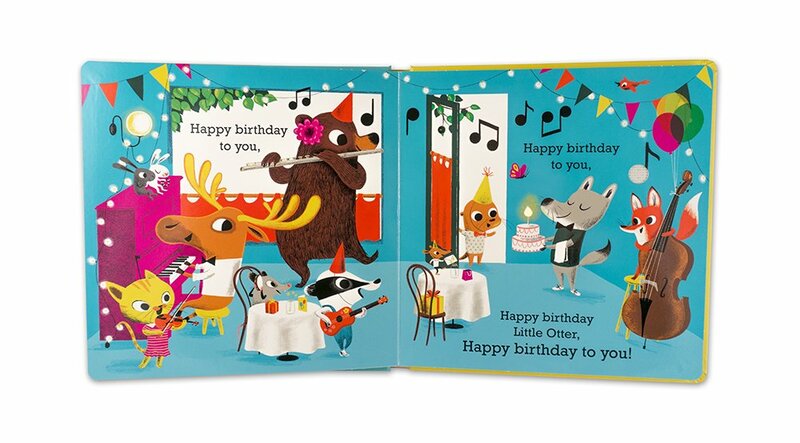 On the final two-page spread, the candle on the cake lights up and all musicians come together to play the song. Slater's illustrations are bright an buoyant and a little bit retro. Why Read? Why Buy? : This is THE book for the birthday baby who is turning two or three. Buy this book as gift and you will be the favorite of the day, with both the baby and parents. 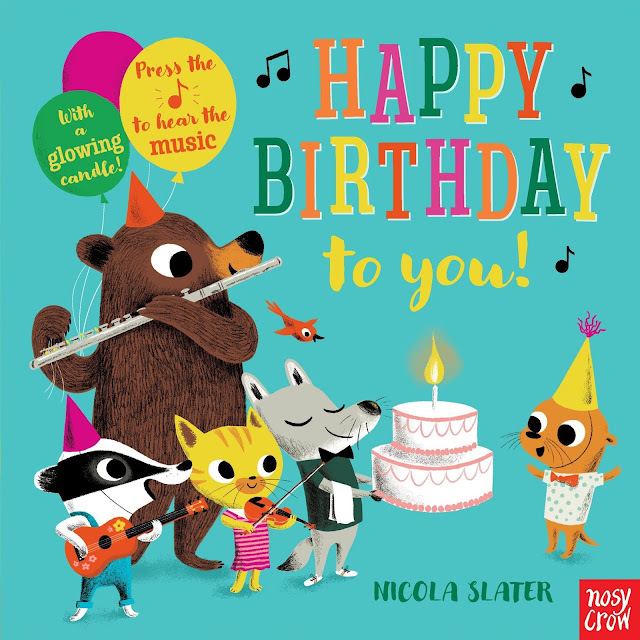 Unlike most board books that make noise, the music in Happy Birthday to You! is mellifluous and not annoying, when played less than 100 times.